The classical data security hygiene that includes risk management, identity management, and patch management etc., is very much needed by organizations. The extent to which these are necessary depends on individual entities and should be assessed by them. These have to be implemented professionally based on the security infrastructure. But the problem arises when companies who do not have IT as their core competence try to run security by some means and this becomes an utter failure since it cannot secure all the necessary areas. Even the big corporate entities face difficulties with their inventory, identities and patch management due to sloppy security implementation. Herein, lies the solution which is cloud computing. When data is migrated to the cloud, it offers a plethora of advantages and even data security is covered effectively than on-premises. CloudCodes for Business for cloud security, takes care of infrastructure and security problems when organizations move to cloud. Why is that corporate houses need to switch to cloud services? The answer lies in the host of benefits that are offered by the cloud services like greater productivity, unbounded access, and work flexibility. Even scalability makes it attractive for organizations to work in a cloud environment. True, that cloud services offer many advantages, but with this comes the peril of data security. This killer silently resides in the cloud quarters, and if not addressed properly, will cause a major havoc for the organizations. Here, CloudCodes acts as a link between enterprises and the cloud and effectively bridges these data security gaps. No doubt that cloud storage is being utilized by companies big and small, but their data security still remains a question. Corporate houses need to think about their security strategy before migrating their applications and data to the cloud. Regardless of the location, CloudCodes provides solutions that help enterprises to open their doors for cloud services without any fear of their sensitive data getting compromised by thefts and breaches. CloudCodes offers topnotch CASB solutions so that organizations can adopt cloud for better productivity and collaboration leaving all their cloud security worries behind. 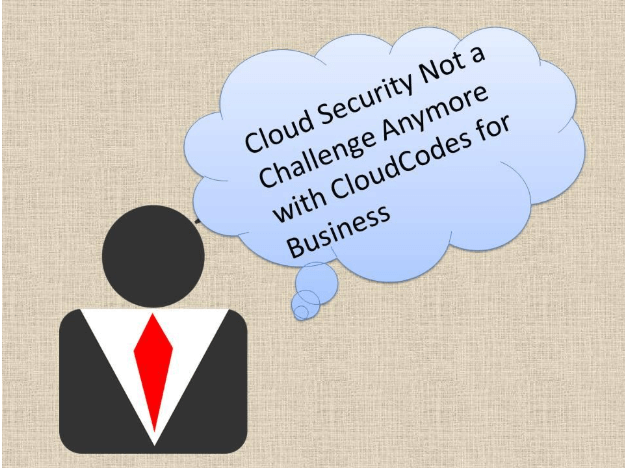 CloudCodes was established with the core foundation being that all the enterprises and businesses worldwide need to have innovative and agile cloud security solutions provided by them. Cloud security through the single sign-on solution is one of our cost-efficient ways of providing data security and this integrated seamlessly to the organization’s work environment so that it doesn’t hamper with the control of the office data. Gartner, which is a world acclaimed analyst firm, has acknowledged the quality work of the company and really recognized CloudCodes as one of the most significant vendors for Cloud Security and SaaS Security in many of their published reports. CloudCodes is currently SOC Type-I certified company with rapid strides towards SOC Type-II and Cloud Complexity Matrix certification. CloudCodes serves thousands of users worldwide and has a wide expanse of satisfied customers. When it comes to the matter of security, SaaS has the most number of advantages. If the organization is using Office365, then CloudCodes manages the whole stack for them. Risk management, policy compliance and IAM (Identity Access Management) will still be with the corporate house because these require the right level of transparency. This will help the organizations to prove to the customers, the regulator and the management that their security cover is in the right place and is adequate. This helps in gaining access to the policy framework of the provider and make sure that all the controls are followed and audited. Monitoring and incident response by accessing the relevant logs becomes possible in this hybrid environment. Thus, CloudCodes CASB solutions help entities to focus on their business and the risk management for their environment. As an efficient cloud provider, CloudCodes takes care of infrastructure and security problems when organizations move to cloud services.